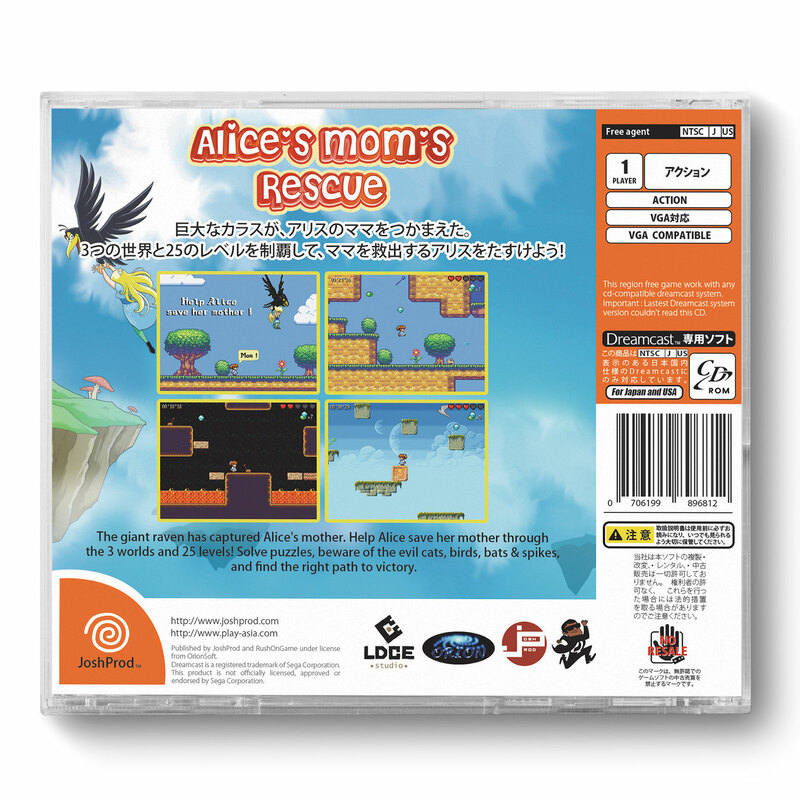 Alice's Mom's Rescue is the new classic 2D Platformer for Dreamcast!The giant raven has captured Alice's mother. 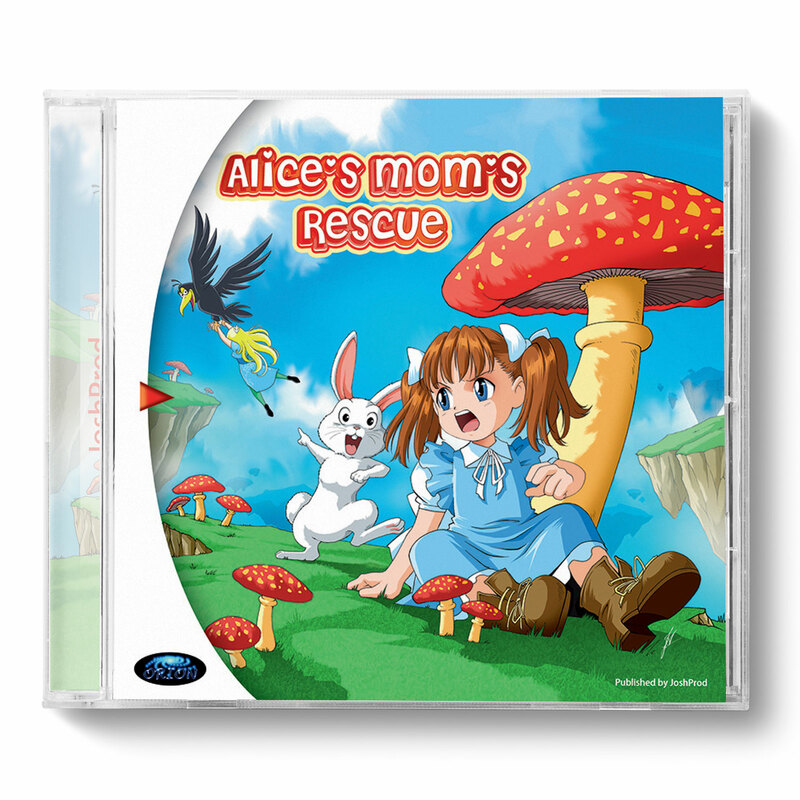 Help Alice save her mother through 3 worlds and 25 levels! Change Alice's height using the magic mushrooms to get through the tiny spaces. Beware of the evil cats, birds, bats and spikes!